"I wouldn't go anywhere else! They do great work and.."
"Quality of work is great, no problem with that whatsoever,.."
"Tammy is exceptional at customer service. And they back.."
"Knowledgeable and friendly staff, from owner to office master Tammy..... Great.."
"Awesome job! Done quick and correct! Pricing was right where.."
"Nathan's Garage is great. For the second time in a.."
"Quality work at a reasonable price. Thorough workmanship from.."
"Excellent communication during the job and upon completion. Very professional.."
"I was very satisfied with the service at Nathan's Garage.."
"Very professional and and top quality service as well as.."
"Nathan and his staff are curteous, knowledable, and skillful professionals..."
"Super polite on the phone, answers every question I had..."
"Great promotional special on oil change! Went above and beyond.."
"Mike was very professional, knowledgable and did exactly what and.."
"Very pleased with courteous treatment and most important, a quality.."
"Very good quality work, with reasurance and warranty! I would.."
"I was very please with the service and the work.."
"Nate does high quality work for a reasonable price. I.."
"Top Shelf, caring people who try to do their very.."
"Amazing! Guys in the shop were super polite and very.."
"Top shelf but you always have to realize what they.."
"They were polite and attentive. I will be recommending then.."
"Excellent. Service prompt and pleasant. 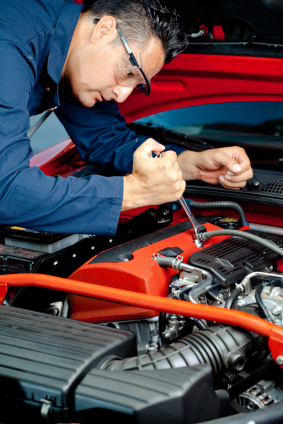 Mechanic knowledgeable about my vehicle,.."